Being a guardian or custodial parent, you will have to make sure that your children get the support their need from both parents. It is no secret that a parent can choose to forego his responsibilities and that is where the guardian has to take action. 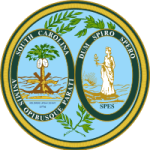 With the help of the department of social services in South Carolina, you can file a complaint. Step 2: Understand the agreement and sign it at the bottom. Step 3: Go to part 1 and fill in the fields with the required information up to page 8. Step 4: Send the filled form to your local child support offices.